Oversize Shipping - This item is oversized or extra heavy and requires additional freight charges. Please email customerservice@avenuearabella.com or call 800.565.3430 if you'd like a quote. Oversize Airfreight - This item is oversized or extra heavy and requires an additional charge if airfreight is requested. Please email customerservice@avenuearabella.com or call if you'd like a quote. Factory Orders - This is an item that ships directly from the factory. Please allow extra delivery time. Expedited delivery is not available on these items. 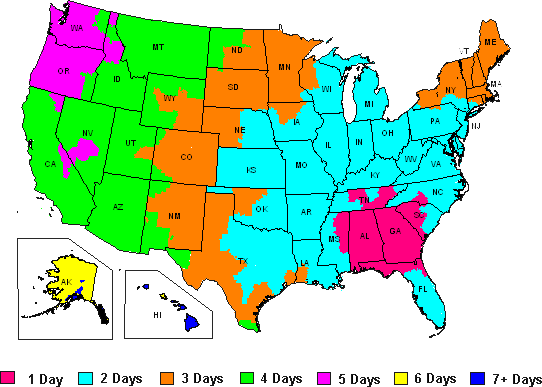 Express Delivery by Federal Express is available to many destinations if you needed your mechandise yesterday! Please email or call 800.565.3430 for your shipping arrangements and total. Shipping to our International customers is done by the most economical means. We will contact you via email with a quote, or if you trust us to find the most economical means, just let us know in the special instructions when you make your order. Need faster service? Please email for expedited shipping times and cost details. Note that Avenue Arabella assumes no responsibilities for taxes or duties that may be assessed by your individual government. Please contact your customs office for more information. If you have any questions, please call Customer Service at 800.565.3430, 10AM to 6PM ET, Monday through Friday. All products in stock normally ship the next day, but if we can get it out the same day, we will! Custom orders, personalized or monogrammed, or factory-direct and backordered items will usually incur a delay for fabrication/personalization. We will notify you immediately if items are on back order, and if you can't wait, we understand, and in that case we'll promptly refund your full purchase price. Thank you for shopping at Avenue Arabella - we love serving you! welcome service shipping security contact us site map tell a friend!